Delays are omnipresent in our modern productions, and while the basic purpose of a delay is to repeat signals, you can get some interesting stereo image effects using different L & R repetitions. Here’s a very simple tip on how to do that and which will never fail on you. 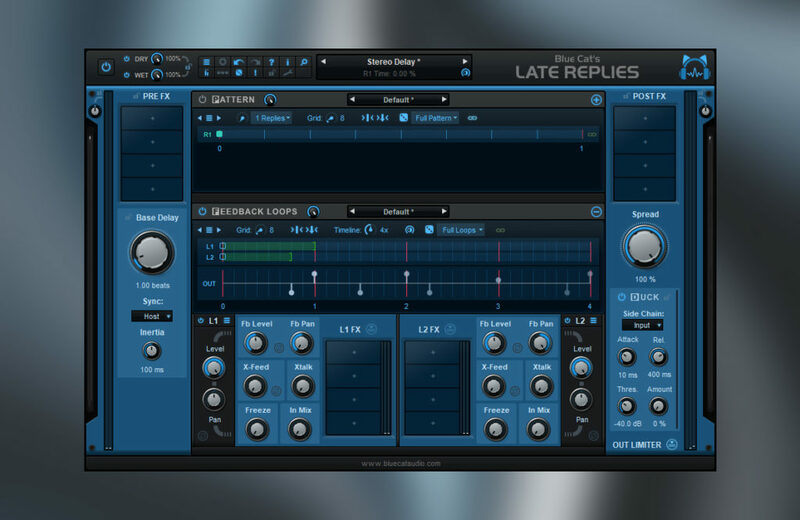 Let’s use the Blue Cat’s Late Replies delay plug-in on a guitar track. Step 1: Insert Late Replies on your track and start with the default settings like in our example. Be sure to sync Late Replies to your host’s tempo by checking the sync button (see screenshot for details) and use a basic tempo of 120 BPM in your DAW. Play the track and hear the results, for now there should be only one delay sound in mono. 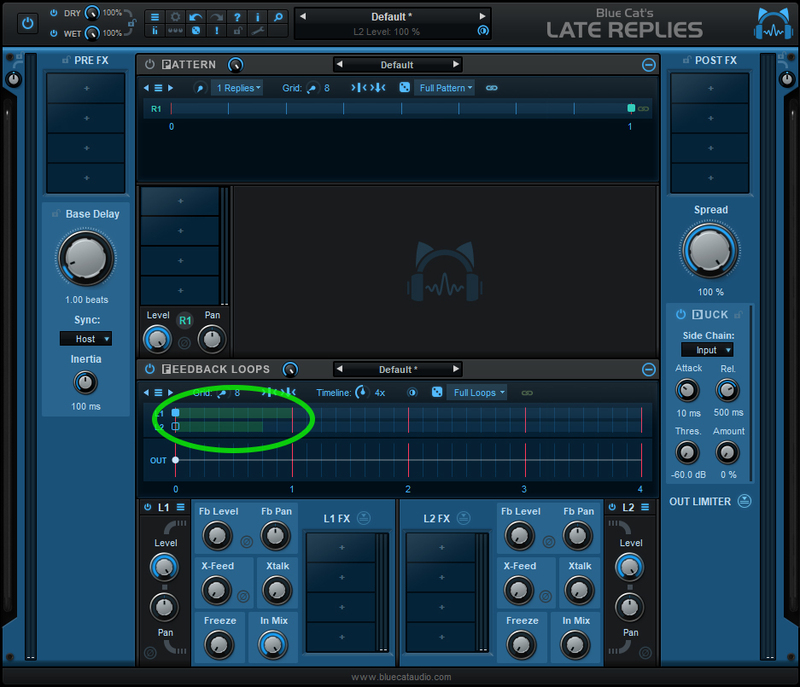 Step 2: Set the Pattern section to OFF as we are just going to use a simple feedback delay in stereo. Step 4: Set L1 delay to one quarter note (= one repeat each beat) and L2 to a dotted eight note like in the image. So what you do is using 3/4 of your initial delay on the other channel which gives a very wide and open sound. Step 6: Set your FB Pan completely to the left on the L1 channel (Left) and completely to the right on the L2 channel (Right). This entry was posted in Tip of the Day / Tutorials and tagged Late Replies by Hans Van Even. Bookmark the permalink.